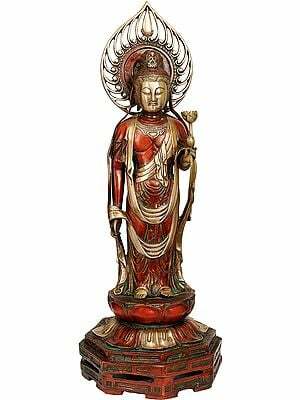 15" X 5" X 4.4"
8.3" X 4.8" X 3.0"
10.0" X 6.0" X 6.0"
25.5" X 8.5" X 6.5"
Nowhere in the world has any religion evolved with as great complexity as Buddhism has in Japan. 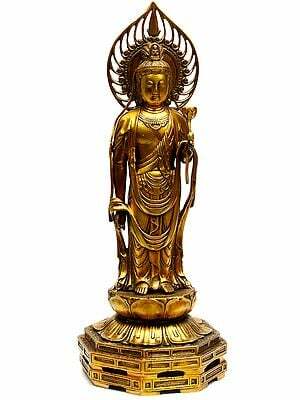 It blossomed in that part of the Orient under the enriching influences of Taoism and Confucianism, yielding a religion that has influenced the greatest minds of human civilisation. 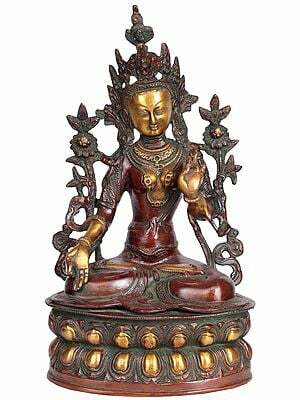 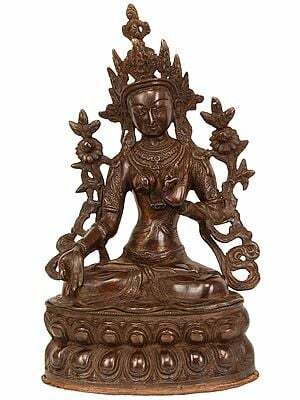 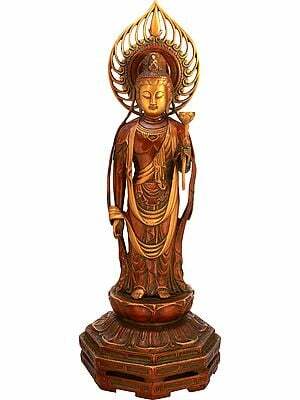 Exotic India's collection of Japanese Buddhist sculptures has it all - the ascetic and salvation-centric aspect of Buddhism, the ritual-heavy aspect of Buddhism, and the mystical aspect of Buddhism. 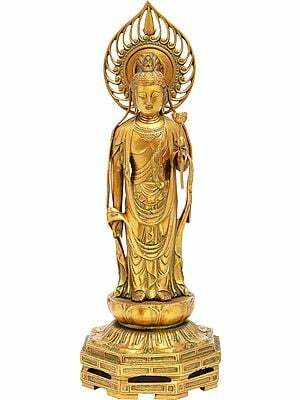 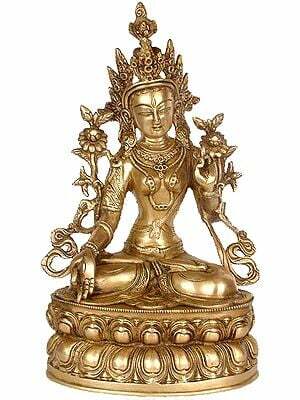 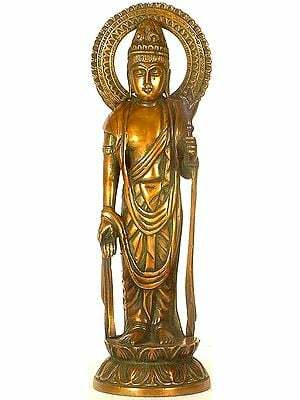 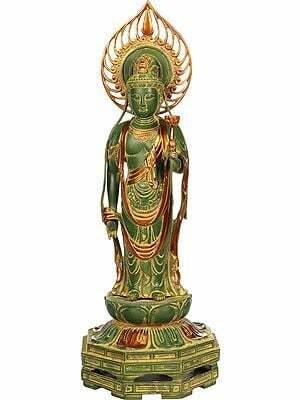 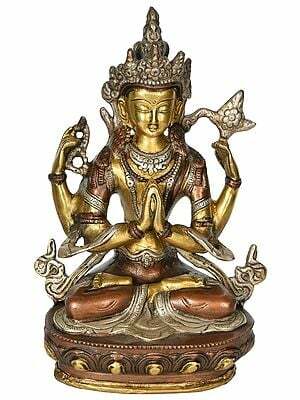 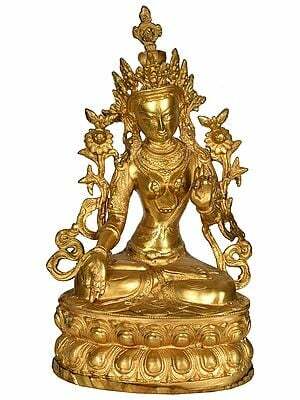 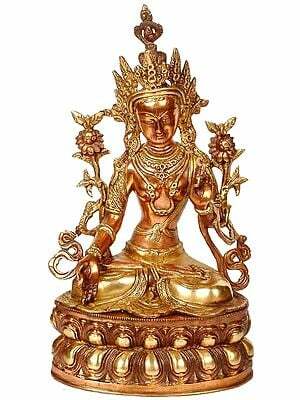 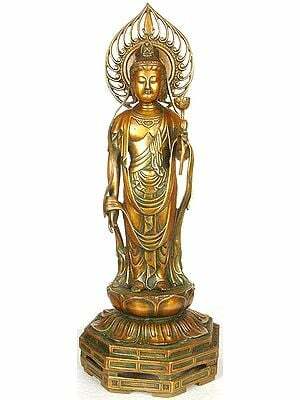 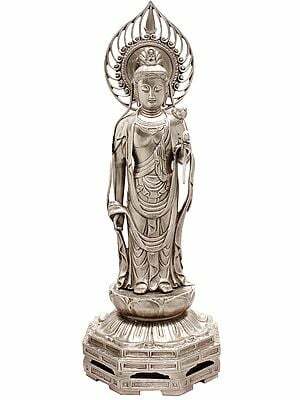 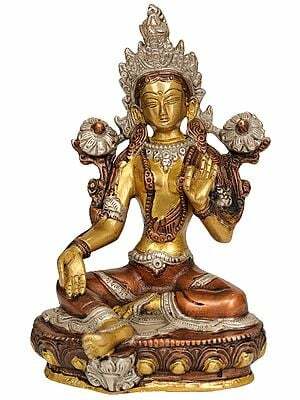 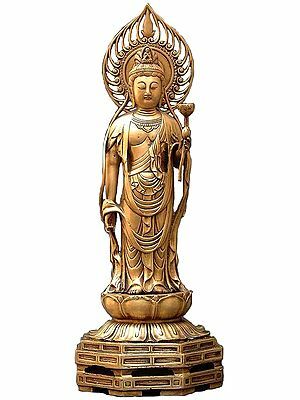 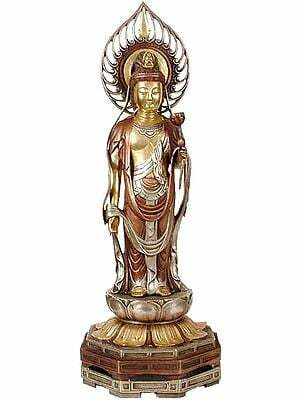 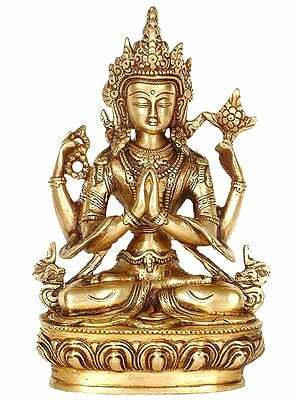 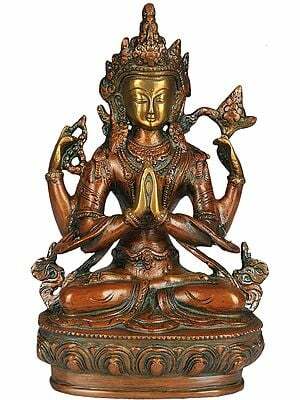 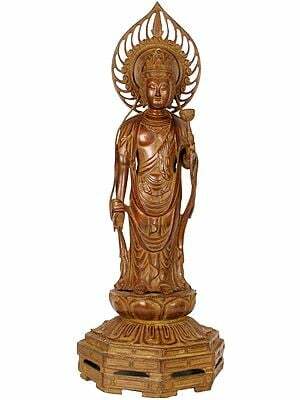 The Buddha as worshipped in Japan has been captured with brilliant skill in each of these brass pieces that Exotic India has painstakingly procured. 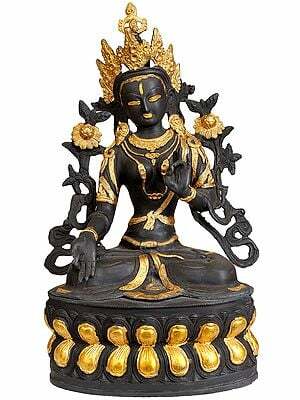 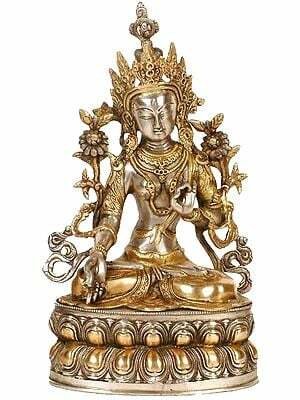 A single one of these in your home or office will considerably uplift its aura. 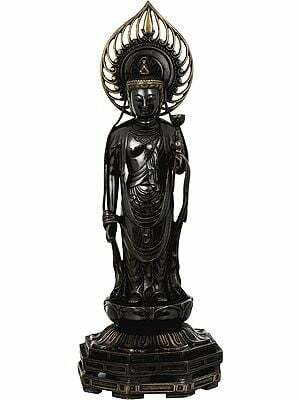 6.5" X 5.8" X 4.4"